This clean cut, simple polo shirt by Kenzo is perfect for low-key, yet smart evenings out. 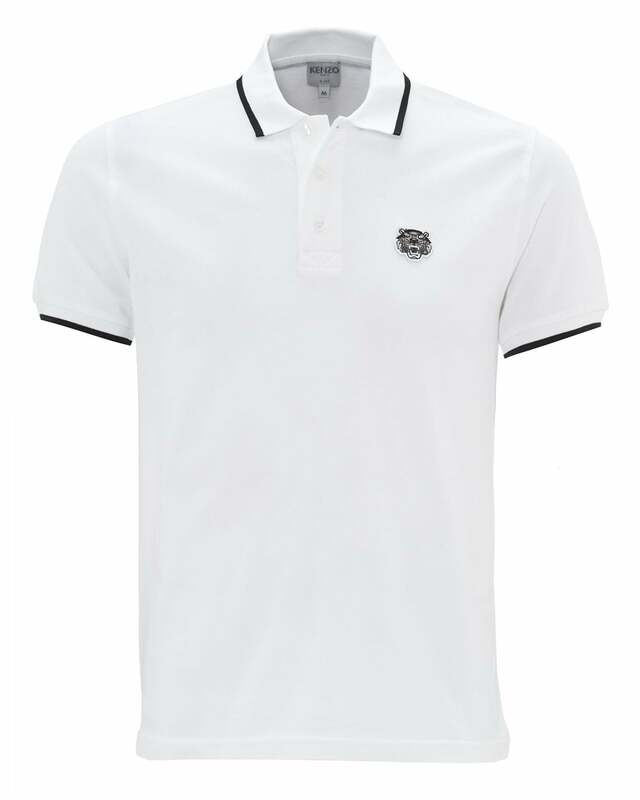 This classic fit polo is beautifully contrasted by the white tipping surrounding the cuffs and collar. Emblazoned with a stitched tiger, pair this piece with black jeans and loafers or smart trainers to kill the smart-casual look.